Many families choose to sponsor a maid. Most apartments and villas have maid’s quarters. A maid’s visa can be obtained by the main visa holder of the family. Bachelors are not eligible to sponsor a maid. You can only sponsor a maid from the following countries: India, Sri Lanka, Phillippines, Bandladesh and Indonesia. A new unified contract (called employment agreement for domestic workers and sponsors) to regulate the rights and duties of domestic workers was put into place in April 2007, the contract will be valid for one year with the option to renew and governs vacation, air tickets, medical care and procedures, in case of breech of contract. Each country has its own regulations regarding minimum salary, age etc and you will have to check with the respective consulate embassy for these details. After your maid arrives, you must apply for a residence permit and health card. This must be done within 30 days of your maid’s entry into the country. Once this procedure is completed a residence stamp valid for one year will then be placed in your maid’s passport. After this step is completed you will receive her labor card. Another option is to hire an agency maid, this does not require sponsorship. 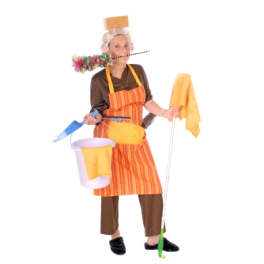 Visit our list of Maid Agencies in Dubai.